Such a peaceful energy is created when you walk into this bright & open floorplan. 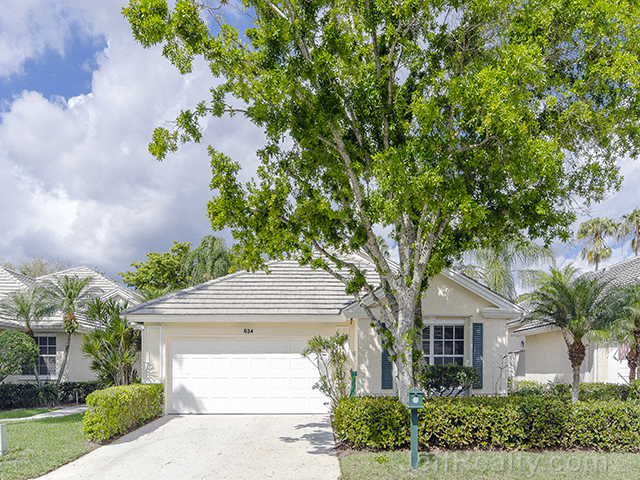 This is a beautiful and meticulously-maintained home located at 634 Masters Way in The Masters at Eagleton in PGA National. Exceptionally remodeled kitchen with the finest appliances and granite countertops. A kitchen designed for a cook! Large island, maple cabinets with built-ins, Vicking appliances, Jenn-Air 4-burner gas range, breakfast nook, and a wine cooler are just a few components that create this spectacular kitchen. Just off of the kitchen is the cozy family room with stunning built-ins, perfect for the computer or a television. The flooring in the living areas are covered in a gorgeous light Travertine marble. The beautiful master suite boasts neutral colors and features separate sitting area, large walk-in closet, and a patio with very private views. Relax in the Roman tub or enjoy the large walk-in shower in this large master bathroom. Large sliders and windows allow the natural light to pour into this home, filling every room with brightness. Gorgeous outdoor area that offers a screened-in patio, as well as an open one. 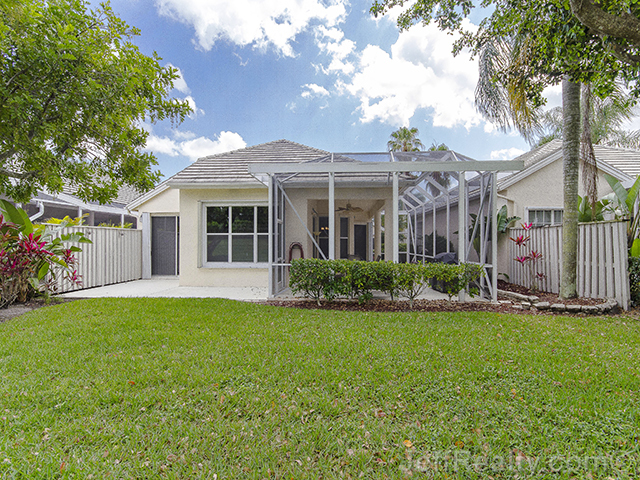 Enjoy the privacy this large backyard has to offer! Posted in PGA National, PGA National homes, PGA National homes for sale on April 9, 2014 at 1:48 pm.